It’s important to use an experienced, knowledgeable, and reliable insurance provider when it comes to business insurance. Every industry has specific criteria that needs to be met. Industry-specific risks make it necessary for providers to tailor plans that are customized to the coverage that it’s intended to provide. At Van Leer & Edwards Insurance Services, we understand the uniqueness of your business and potential complexities of your industry. 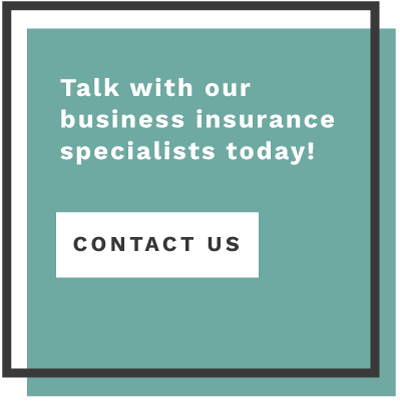 We specialize in providing your industry-specific business insurance that is suited to fit companies, small, medium, and large business of all types. We are confident that you will not find better coverage at a better price. See our many business insurance options below. Running a bar, nightclub, or restaurant can be fun but it’s also not easy. Reduce your legal worries and focus more on your customers. Reduce your risk of financial exposure during a site build. Builder’s risk insurance covers new construction and can protect your assets. The amount of liability a contractor or handyman is accountable for is staggering. Protect yourself and your equipment today. If your business owns or operates 3 or more vehicles, you should have fleet insurance to cover multiple vehicles at the same time. Do you store vehicles for a short or extended period of time? Garagekeepers insurance will help cover vehicles in your possession. Due to the personal nature of their business, lawyers and law firms need insurance that is tailored specifically to their industry. Healthcare related lawsuits are a serious possibility. Get the right insurance for your medical/neutraceutical business or pharmacy. Running a manufacturing company comes with a vast amount of problems that can arise from the manufacturing process. Cover your business today. Estheticians, laser hair removal centers, and med spas need to have liability insurance to cover themselves against potential incidents. Medical professionals are held to a high standard of excellence for the procedures they perform. Protect yourself today. Cover your retail store from theft, regulatory issues, and the unexpected with the right insurance plan from Van Leer & Edwards. If you work as a vet, pet groomer, or run a pet care facility, you need coverage as serious as your responsibility for the animals you care for.